Children's Book Revisits the "Trouter's Special"
04/30/10 - Writer Deborah Guillemette weaves a tale of friendship, fun and fishing with her new book Trouter's Special. It's about a boy named Wally who finds a new friend when Andy, whose father just got a job as a coal man for the railway, moves in next door. Andy finds it hard to sleep at night in his new house, with the booming sounds and bright lights of the train filling his bedroom. When Wally invites Andy to take the "Trouter's Special" with him to Brigus Junction for a fishing trip, Andy finds peace, quiet and adventure with his new friend. Trouter's Special is a 22-page book with charming illustrations by St. John's native Jillian Nicol. Nicol has a BFA in Visual Art from Sir Wilfred Grenfell University and currently works as a screen printer, designer and freelance illustrator in Gatineau, Quebec. Memorial University of Newfoundland. She has written nine other books on contract for various organizations within the agriculture industry. The inspiration for Trouter's Special came from stories that her father, Walter Oates, told of growing up close to the old railway station. Trouter's Special is published by James Lane Publishing and distributed by Downhome Inc. The book is currently available at Downhome Shoppe and Gallery, online at ShopDownhome.com, and in Downhome-supplied stores across Newfoundland. 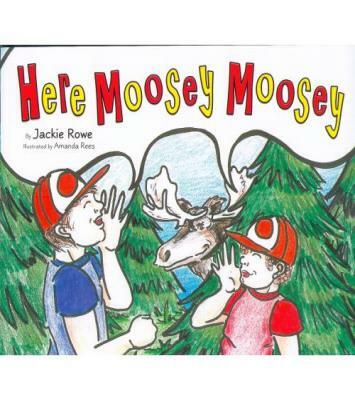 04/30/10 - Writer Jackie Rowe tells a delightful tale of a chance meeting between two curious young boys and a mischievous moose in her new book, Here Moosey Moosey. When the boys join their father in the woods for a moose-hunting trip, they playfully yell out, Here Moosey Moosey! Imagine their surprise when a big bull moose answers their call. When the moose answers the boys questions about what it eats, where it sleeps and what games it likes to play, young readers get the opportunity to learn all about this fascinating animal. Here Moosey Moosey is a 26-page book with glossy pages beautifully illustrated by Amanda Rees, a graduate of College of the North Atlantic Visual Arts Program. Rees is also the talented illustrator behind Moogie Moose & Friends: Atlantic Ocean Adventures. Born and raised in St. Johns, Jackie Rowe has a Bachelor of Arts degree from Memorial University of Newfoundland. After graduation, she moved to Seldom, Fogo Island, where she began building a business in the fishing industry. The inspiration for Here Moosey Moosey came from a family moose-hunting trip that she took with her husband and two sons. Here Moosey Moosey is published by James Lane Publishing and distributed by Downhome Inc. The book is currently available at Downhome Shoppe and Gallery, online at ShopDownhome.com, and in Downhome-supplied stores across Newfoundland. 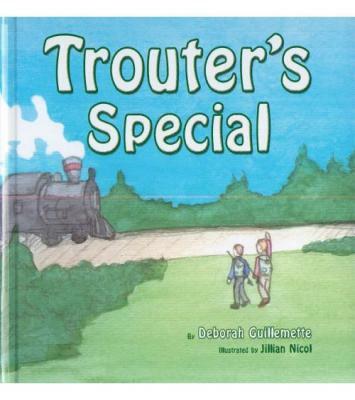 04/30/10 - Writer Deborah Guillemette weaves a tale of friendship, fun and fishing with her new book Trouter's Special. It's about a boy named Wally who finds a new friend when Andy, whose father just got a job as a coal man for the railway, moves in next door. Andy finds it hard to sleep at night in his new house, with the booming sounds and bright lights of the train filling his bedroom. When Wally invites Andy to take the "Trouter's Special" with him to Brigus Junction for a fishing trip, Andy finds peace, quiet and adventure with his new friend. Trouter's Special is a 22-page book with charming illustrations by St. John's native Jillian Nicol. Nicol has a BFA in Visual Art from Sir Wilfred Grenfell University and currently works as a screen printer, designer and freelance illustrator in Gatineau, Quebec. Deborah Guillemette has a Bachelor of Commerce (Co-op) degree from Memorial University of Newfoundland. She has written nine other books on contract for various organizations within the agriculture industry. The inspiration for Trouter's Special came from stories that her father, Walter Oates, told of growing up close to the old railway station. Trouter's Special is published by James Lane Publishing and distributed by Downhome Inc. The book is currently available at Downhome Shoppe and Gallery, online at ShopDownhome.com, and in Downhome-supplied stores across Newfoundland. 08/13/10 - Armed with a sharp wit and a penchant for seeing the lighter side of life, Lucy Fitzpatrick McFarlane has been spinning yarns for Downhome magazine for more than 20 years. Her vivid memories of childhood shenanigans and awkward adolescence, as well as her unique commentary on love, married life and growing older are always entertaining and often insightful. 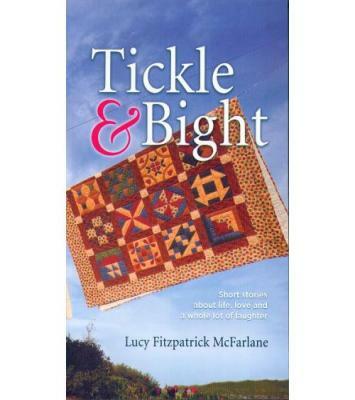 Tickle & Bight is a 330-page book comprised of some of McFarlanes favourite original short stories about life, love, laughter and growing up in the tiny community of Lords Cove on the Burin Peninsula, Newfoundland. The book is accompanied by illustrations by Mel DSouza, a Goa, India native who now makes his home in Brampton, Ontario. A Newfoundlander at heart, he has been illustrating for Downhome magazine for the past 20 years. Lucy Fitzpatrick-McFarlane has been writing short stories, newspaper columns and poems about her beloved native Newfoundland for more than 30 years. In addition to Downhome, where her "Tickle & Bight" column continues to appear bimonthly, her work has also been published in Newfoundland Lifestyle and Newfoundland Quarterly. After many years of living in Ontario, Lucy and her husband are now back in St. Johns. Tickle & Bight is published by James Lane Publishing and distributed by Downhome Inc. The book is currently available at the Downhome Shoppe and Gallery, online at ShopDownhome.com, and in Downhome-supplied stores across Newfoundland.